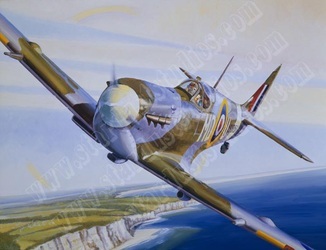 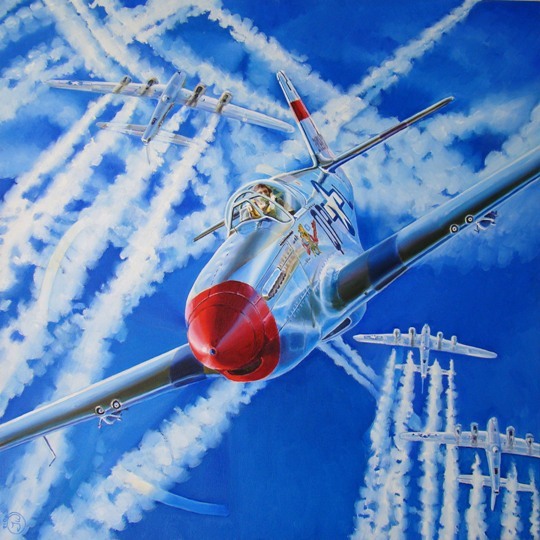 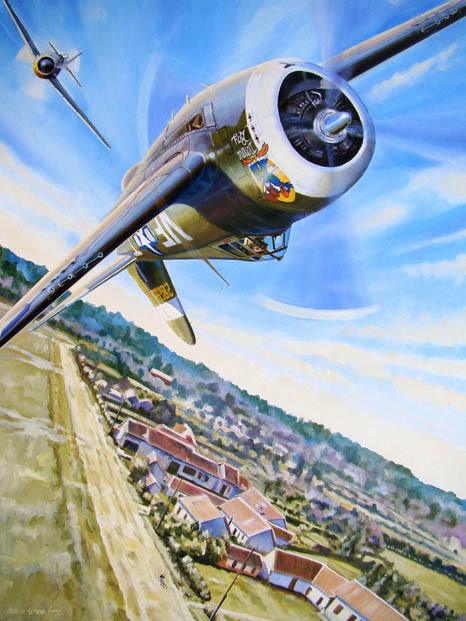 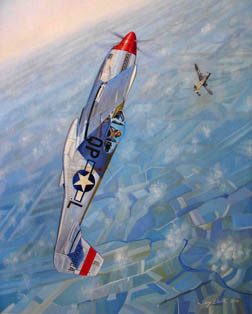 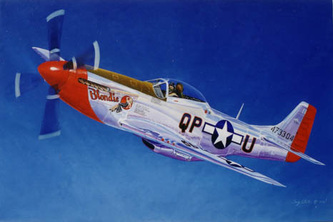 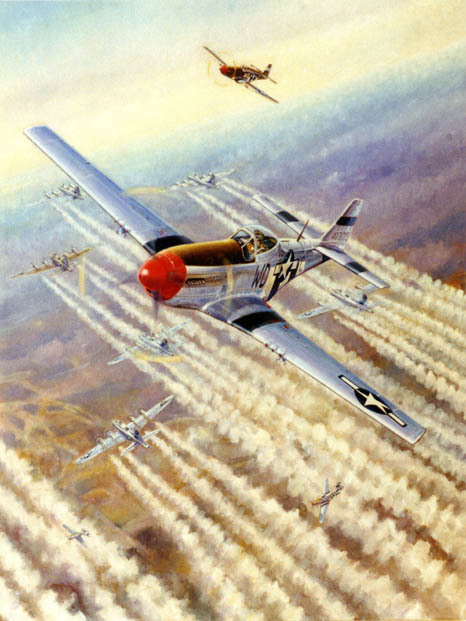 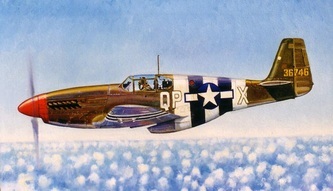 Troy White always has a unique pespective on aircraft, whether he is jumping out of one or putting one on canvas. 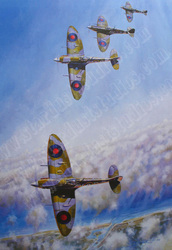 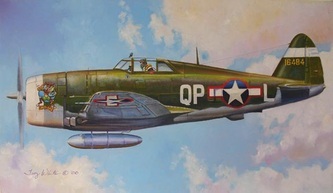 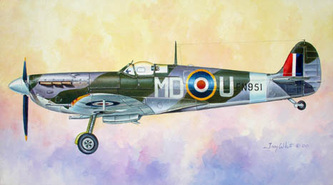 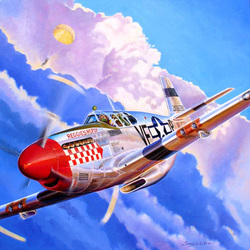 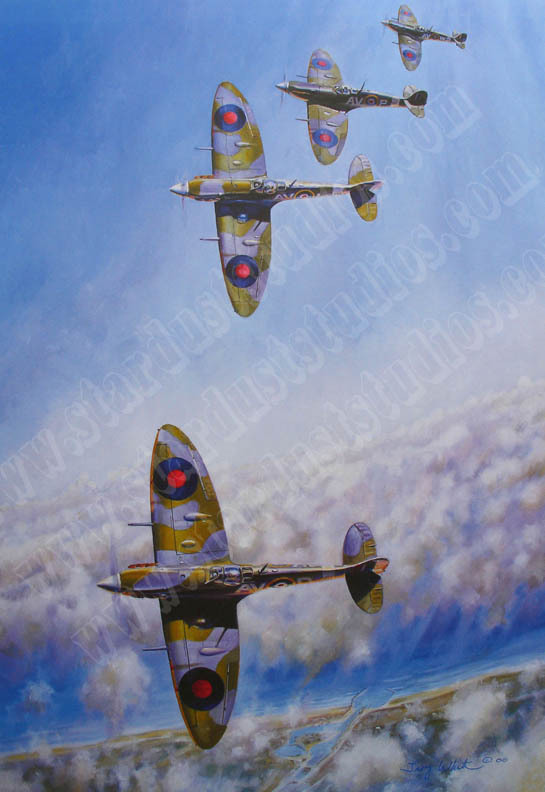 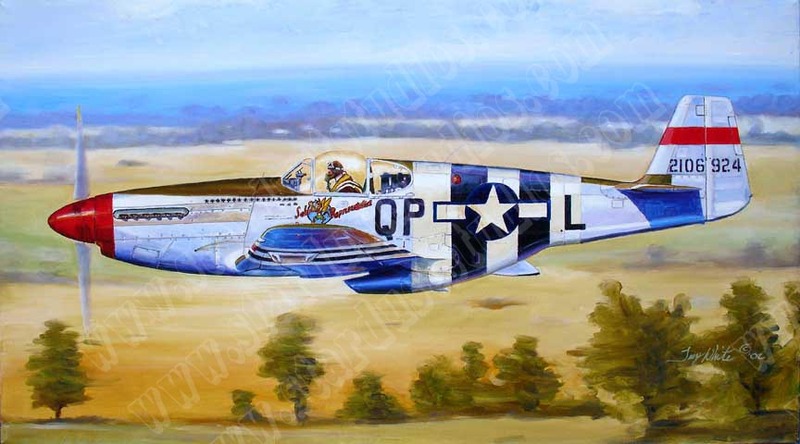 Notes White, "In the early 1970's aviation subjects started to make their way from doodles in the margins of my class notes into my paintings and sculptures…” Since then Troy has painted just about every type of aircraft, including thirteen 4FG subjects. With his ‘Rotational Series,’ New Art International writes "White has broken new ground with his use of multiple perspectives and has ensured his place among the stars of his genre.” To contact Troy, e-mail him at troyfreefly@hotmail.com To get a better look at his work, visit http://www.starduststudios.com.